I read Into Thin Air a long time ago, probably right after it came out. Such a compelling read. Seriously made me wonder (as you did) why people choose to attempt that climb. However, it takes all kinds and the journey in the book was just 'wow!'. I find the Spanish Flu interesting, too. There's another book by Gina Kolata about the 1918 flu that also sounds very good. Yeah I have no need or desire to climb Everest lol. To each their own I guess, although I bet that book IS fascinating. 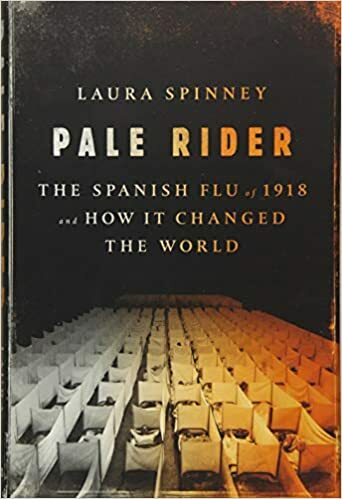 That Spanish flu pandemic- wow. One in three on Earth! That is terrifying. I read Into Thin Air years ago and it terrified me! I can't understand either why anyone would want to do it, knowing the death rate is so high. And if you die on Everest they leave your body up there! Which kind of freaks me out. I had no idea the Spanish flu affected so many people! One in three people on earth? So scary! Right? And it killed 3x as many people as WWI! But because it happened at the end of the war I think people have kind of forgotten about its impact. I thought it was a very interesting book. Have not read Into Thin Air but I did read Into rhe Wild also by Jon Krakauer. It tells the true story of Christopher McCandless who at age 24 went into the wilds of Alaska and died four months later. Hifghly recommend the book. You described INTO THIN AIR perfectly. It's a book I found utterly fascinating and one that has stuck with me. Yeah, I don't think I'll soon forget that bookish journey. I'm glad you enjoyed Into Thin Air. I thought it really gave me an idea what climbing Everest was like. It got me interested in reading about other mountain disasters and I've read a lot about Everest and K2 since then. 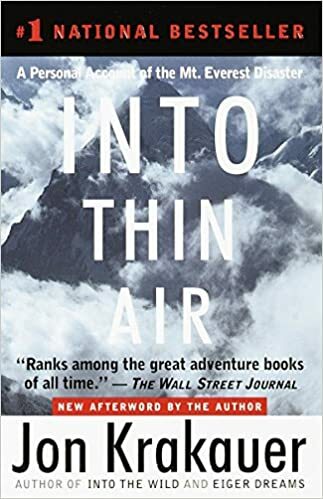 I bought a copy of Into Thin Air this year. I'm looking forward to reading it. It's good. I think you'll enjoy it. Nonfiction November always reminds me of all the great nonfiction I haven't read yet! 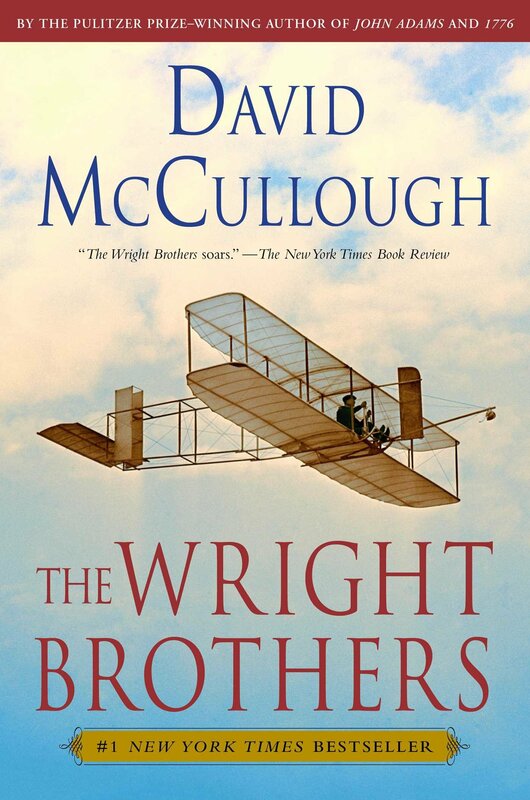 Somehow I haven't read anything by David McCullough yet; maybe I should start with The Wright Brothers. I keep meaning to pick up Into Thin Air! It sounds like such an intense read! Well done! I accidentally first read "Five facts you may or may not know about the Spanish Flu" as "Five facts you may or may not know about the Spanish Inquisition" and immediately thought of Monty Python. I only read one NF book in November. But it was the Anne Bogen book you reviewed recently, I'd Rather Be Reading. It was really cute and at 160 pages, it took me no time at all! Thanks, Ruthiella! (And it might have been a funnier post if it had been about the Spanish Inquisition. ;D) And I'm glad you liked the Anne Bogel. It is a fast, fun read. All three books are on my TBR list—I know I would find Into Thin Air much as you did, head-shakingly compelling! One in three for the Spanish flu—that’s almost incomprehensible.